Introducing 8134 Giving, our code that means I Love You For Giving. Each season, we shine a light on different charities, ideas, and people - and support them through love, attention, fundraising, or donations from our collection. 8134 Giving, means we're acting as the change we'd like to see in the world. Thank you for joining us. Currently, we're highlighting something we all have an unlimited supply of, yet it is one of the most treasured things we can offer. It's free, easy, and simple: KINDNESS. That's all. Just make someone happy and, like the song says, you'll be happy too. Here's our little ad, which we hope will inspire you. Remember, we're all connected. One Meaning is, and has always been, a philanthropic company. Our giving and fundraising stems from our core message: love is the center of everything. From its inception in 2008, One Meaning has supported hundreds of charities and foundations by shining a light on them and donating a portion of sales, or pieces from our collection, for their fundraisers. As a company based on love, we feel that’s important to do. We help to fill needs where they appear in meaningful causes and we act with kindness and responsibility in everything we do: in our materials, messages, our designs, methods, customer service, and partnerships. One Meaning is very proud of these very conscious decisions. One Meaning has also created an ongoing anti-bullying initiative called Stick up for Love! which provides fundraising opportunities and inspirational stickers to kids in schools across the country and has expanded to address all forms of bullying in social media, the workplace, and real life. 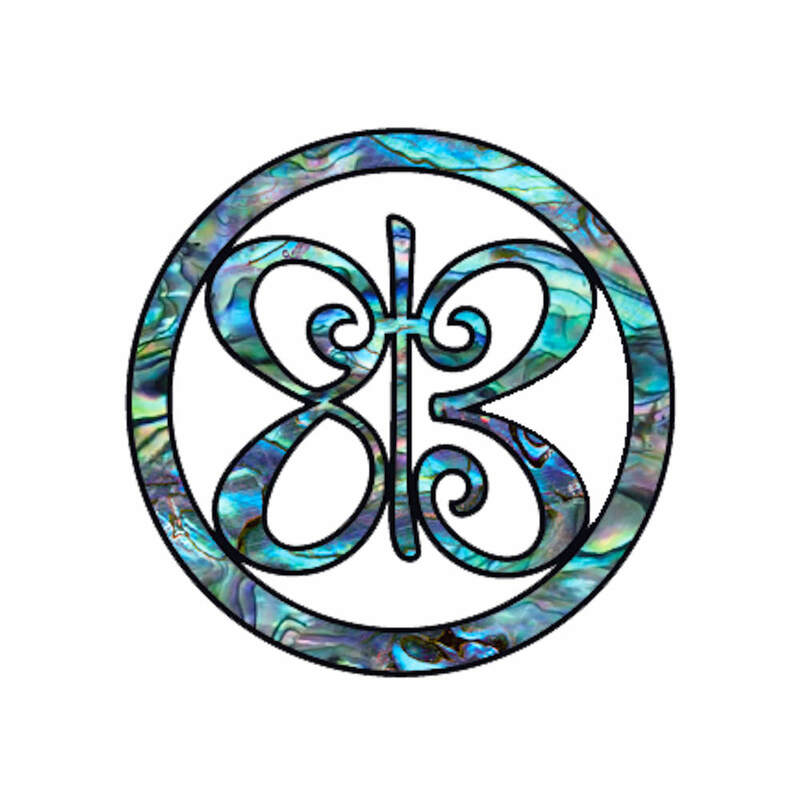 If you have a foundation or cause and would like to apply to be highlighted on 8134 or would like to request a piece from our collection to be used in your efforts to raise funds, please contact us! Want to participate in our Stick up for Love! Kindness Movement for your school or group? Read on and watch our "Superhero" video below (you can use it in your meetings). Love really can change the world. We offer a meaningful fundraiser alternative to schools and organizations to help teach tolerance and acceptance. Our Stick up for Love! 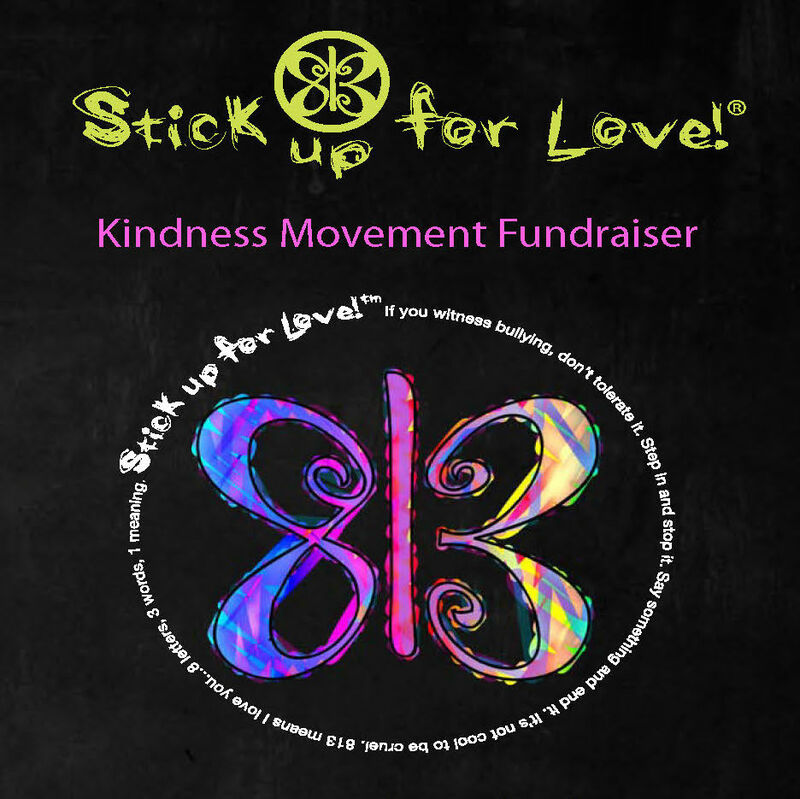 Kindness Movement and sticker campaign features stickers, gear and jewelry with our meaningful symbol and gives 50% back to your school or group! Just email us! You can play our "Superhero" video (below) at your school assembly or group meeting. We asked kids, teens and adults to give us their best superhero pose for our Stick up for Love Kindness Movement. We want to inspire kids to "find your kind and be your own superhero" against bullying. This is the result of a lot of love, kindness, and the inner strength of kids across the country. Special thanks to celebrity superheroes Jeremy Glazer and Curtis Sliwa for generously participating in our anti-bullying film. We would like to encourage everyone to play this for their schools and organizations at assemblies and rallies, in conjunction with a Stick up for Love Kindness Movement. Remember, it's not cool to be cruel.